Nice quality acrylic Pens-A pen made of metal and acrylic. 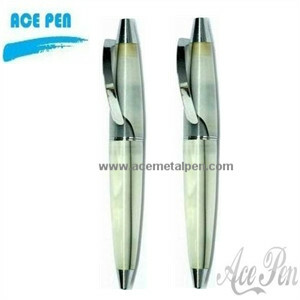 Surface Treatment Acrylic Metal pen with elegant design,produced by professional Acrylic and metal pen. Barrel coated acrylic.shiny chrome trims. High quality and noble design.